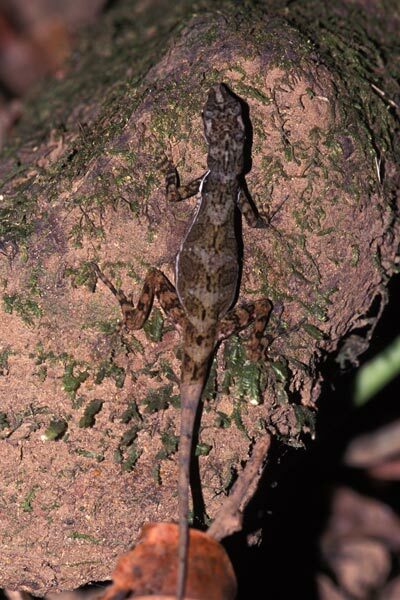 Some authorities consider Anolis oxylophus to be synonymous with Anolis lionotus, and others consider them distinct. For now at least, I am not attempting to distinguish them. I found this attractively patterned anole clinging to a large boulder in a small stream, in plain sight, sound asleep at night. I disturbed its sleep to take a few photos. 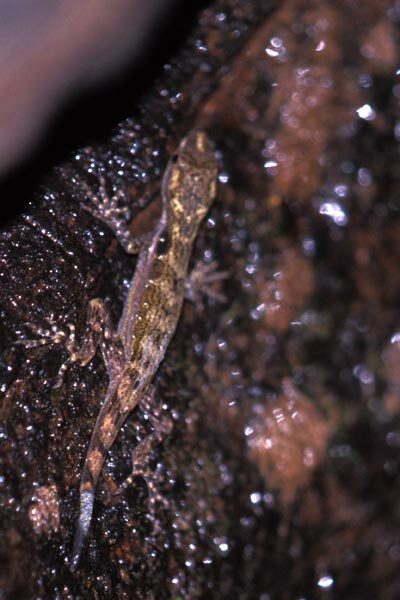 This is one of only a few anole species that live in close association with running water. 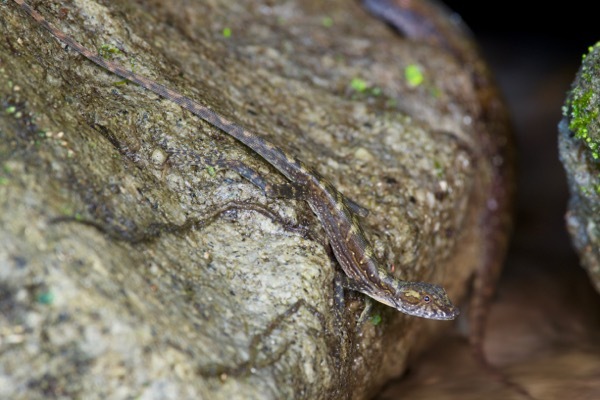 I found this juvenile of the same species prowling by day on a large fallen branch in the same stream as the anole in the previous pictures. 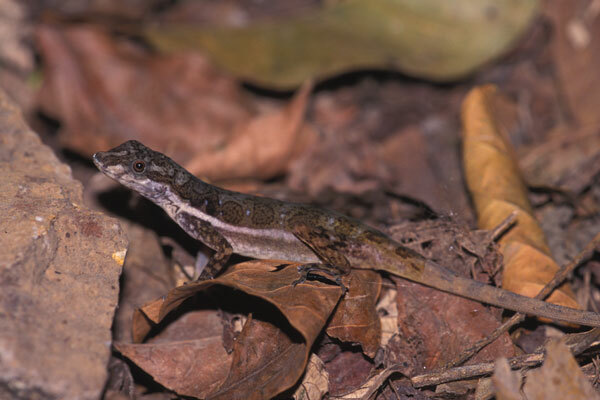 Some authorities put most of the Central and South American anole species (as opposed to the U.S./Caribbean ones) into the genus Norops. This might become the standard soon, but for now there are still many authorities using "Anolis". Also, some authorities consider A. oxylophus a synonym for A. lionotus. 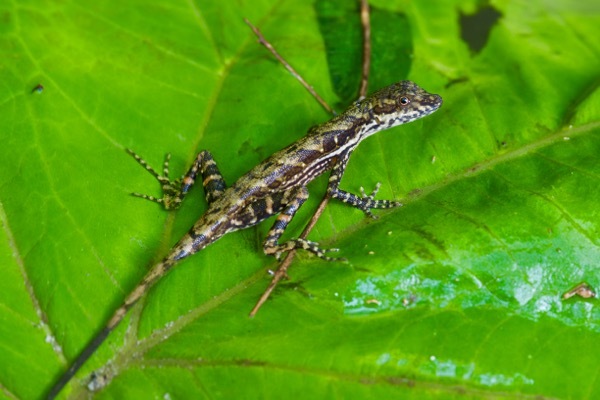 Thanks to Axel Fläschendräger for helping to identify this anole. El Valle de Antón's resident herp expert Mario Urriola found this anole and a couple of others while Lorrie Smith and I hiked with him one evening. 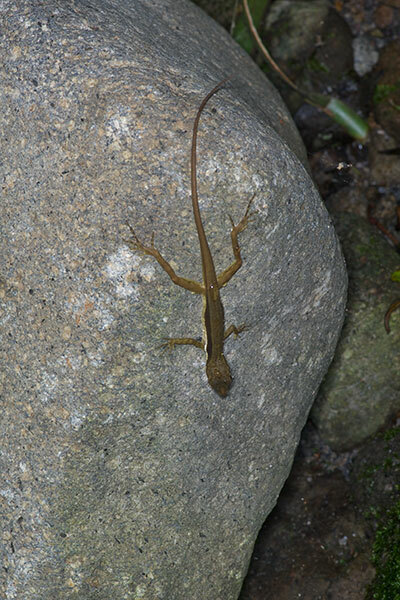 All of the anoles were clinging to boulders in or near a stream. This young one held its position. I tried to get photos of a couple of adults, but they were too wary and escaped my evil camera by leaping into the water, being carried downstream, and climbing out on another boulder. They did this repeatedly, those tricksy anoles. 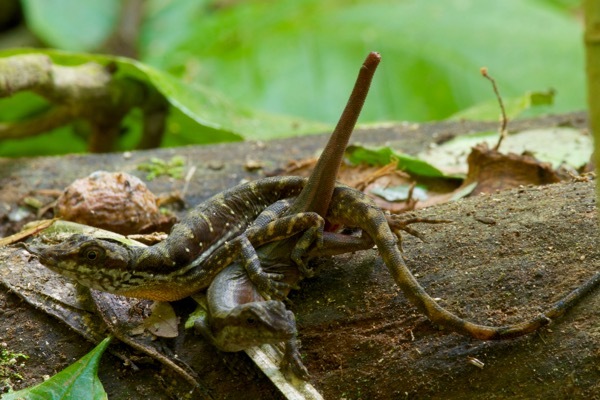 We got many good close-up looks at these interesting lizards in the same area that I had previously visited in 2014. These four are all adults (obviously so, in the case of the last photo! ).